Is Northeast Ohio a Sanctuary Region? Laws and policies: Where does our region stand on immigration? 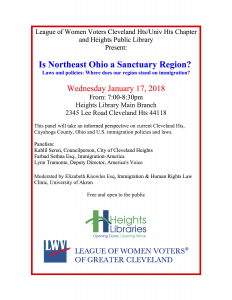 This panel will take an informed perspective on current Cleveland Hts, Cuyahoga County, Ohio and U.S. immigration policies and laws. America prides itself on being a melting pot, and for more than a century virtually unrestricted immigration filled the country with residents from around the world. But war, racism and the fear of radical political movements led to legislation that drastically limited immigration from WWI to the 1960s. 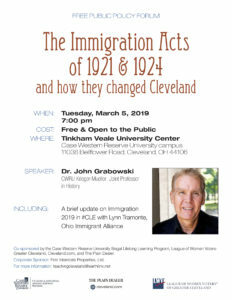 Learn more about the historical forces that closed the nation’s doors and the impact that legislation had on ethnic and national groups who sought refuge here, with Case Western Reserve University professor and editor of The Encyclopedia of Cleveland History, Dr. John Grabowski. 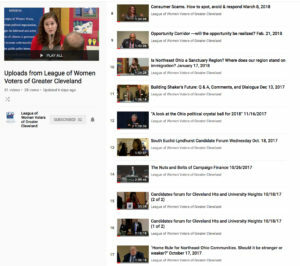 This program is part of the 2014-2015 Cleveland Jewish History and Public Policy Series co-sponsored by Cleveland Jewish News Foundation, The Laura and Alvin Siegal Lifelong Learning Program at Case Western Reserve University, Teaching Cleveland Digital and the Maltz Museum of Jewish Heritage. Elizabeth Sullivan, who received a BA and MA in Russian and East European Studies from Yale University, started at The Plain Dealer in 1979 as a business reporter. She served in a variety of local and overseas reporting capacities, with one earlier stint as an editorial writer, before rejoining the editorial board in 2003 as an associate editor and foreign affairs columnist. In 2009, Sullivan was named editor of the editorial pages. Additionally, Sullivan writes many of the newspaper’s editorials on energy, international and national security topics. Cleveland long has been a city of steel and autos, a city that boomed with ore men, oilmen and corporate titans and then busted not long after the oil price shocks of the 1970s helped push steel onto life support. It’s a city whose burning river sparked the cleanup of all the Great Lakes, a place that’s finally willing to spark the reinvention of itself through biotech, high-tech, wind energy, green jobs, and medicine. But through all these years—even going back to 1796 when Moses Cleaveland and his team of land speculators arrived as descendants of English settlers—it’s also been a city of immigrants and migrants. Immigrants from England, Germany, Ireland, Poland, Slovenia, Slovakia, Hungary, from the Ottoman Empire, and Lebanon, from the south, including the great African-American migrations of the early 1900s, from Lithuania, Latvia, Belarus, Puerto Rico, and Mexico, from the Czech Republic, Romania, Ukraine, Russia, and Italy, from Albania, the ex-Yugoslavia, Guyana, and Jamaica, from Korea, China, and India, from Vietnam, the Dominican Republic, and South Africa, from scores of other nations, and from a mix of religions, Judaism to Lutheranism, Catholicism to Buddhism. These continuing waves of new arrivals helped set Cleveland’s cultural tone. They established its first hospitals, houses of worship, and other institutions. They settled neighborhoods that bear their marks to this day in architecture and urban landscapes. Immigrants stoked the great open hearth furnaces of Cleveland’s steel mills and sewed the fabrics that made the city an early center of the garment industry. They worked the docks and the railroads. They brought a multiethnic flavor to city politics—ward heelers heeling by last name and country of origin—but they also created one of the great, high-octane metropolises. They did that through the sheer audacity of what it means to be an immigrant, to leave the familiar place of home and family to find a new start—and then to work together, organizing sometimes by national origin, by family roots, by religion, by language to help seed the small businesses and family stores that propelled jobs from the factories to the street corners. 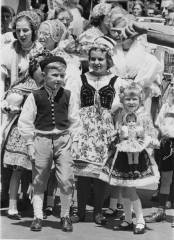 At one time, Cleveland was home to so many Slovenians that it was the largest “Slovenian” city in the world, surpassing Ljubljana, capital of present-day Slovenia; to so many Hungarians that it was the second largest “Hungarian” city in the world, after Budapest; and to three times as many Slovaks as lived in Bratislava, now capital of an independent Slovakia but that, in 1910, was a largely Germanic and Hungarian city. They brought their art and music with them: Following the Hungarian and Slovak factory workers to Cleveland were Roma musicians who for decades made Cleveland the New Orleans of the north, their rousing musicians’ funeral processions and plaintive nightclub Gypsy music part of the stimulating mixture of peoples, cultures, and religions that gave the city its flair. So, too, the progenitors of Cleveland’s diverse button-box accordion and polka music, with Polish, Italian, Czech, German, and Croatian styles, but whose most important heir was Frankie Yankovic and his Cleveland-style Slovenian polka. Yankovic was the son of Slovenian immigrants who’d met in a West Virginian lumber camp and moved to the Collinwood neighborhood of Cleveland in the early 1900s, reportedly after his father’s bootlegging business came to the attention of West Virginia police. It was in Cleveland that the young Yankovic learned the accordion from one of the boarders his father took in to supplement the family’s income from construction work. The National Cleveland-style Polka Hall of Fame was established in Euclid in 1987, the year after Frankie Yankovic became America’s first recipient of a Grammy for polka music. The Cleveland Public Library showed the adaptability that was to make it one of the country’s foremost research libraries by quickly adding foreign-language collections to its offerings, Starting with German, and then Yiddish, Italian, Hebrew, Czech, and Polish by the early 1900s—expanding rapidly into other languages, from Hungarian and Romanian to Vietnamese and Swahili. According to the Encyclopedia of Cleveland History, the city’s library system was the first in the country to include Belorussian language materials, starting in 1973; by 1995, its foreign-literature offerings, with books in 45 languages, as well as a variety of foreign-language periodicals, tapes, and cassettes, were, according to the online Cleveland Encyclopedia article by Jerzy J. Maciuszko, posted at ech.cwru.edu, the most extensive for a public library in the United States. The presence of so many diverse peoples and religions, and their connections to home countries, also made Cleveland a bridge to world politics. It was in Cleveland that Czechs and Slovaks came together in 1915 to agree, via the Cleveland Agreement, on a union of what was to become Czechoslovakia. Then there was the rise to leadership positions within Cleveland’s Jewish community of two influential rabbis who were fierce zionists, Rabbi Barnett Robert Brickner of the Anshe Chesed congregation and, especially, Lithuanian-born Rabbi Abba Hillel Silver, who led the temple in Cleveland for more than four decades. Their intense advocacy for the state of Israel helped win U.S. and U.N. support for creation of a Jewish homeland. Later in the 20th century, financial support from some ethnic groups in Cleveland became a factor in nationalist movements back home, from the IRA and the Irish Nationalist cause against the British in Ireland, to the 1991 Croatian independence struggle. The significance of Cleveland contributions drew to Cleveland two Croatians who later became Croatian president, Franjo Tudjman and Stipe Mesic, as well as Gerry Adams and others from Sinn Fein’s top political leadership in Northern Ireland. Today, as Cleveland tries to reinvent itself as a smarter, savvier, more highly educated, more adaptable 21st-century city, it must not dismiss or overlook the core energy and drive that defines the immigrant experience. Immigrants still are helping to make our neighborhoods tidier, livelier, and more diverse. They are bringing economic focus and jobs. Immigrants—particularly highly educated immigrants, but also entrepreneurial family groups and immigrants who continue to act as a bridge to their home countries for attracting businesses and investors—may be the most overlooked economic drivers, both in Cleveland and the nation, of urban revitalization and future wealth. Cleveland can do much—and much, much more than it’s doing now—to attract and nurture this sort of immigrant. Indeed, such immigrants already are effecting change in Cleveland. If you look closely, you may find them transforming a neighborhood near you. As long as Cleveland was a sleepy backwater, it attracted few immigrants apart from those early settlers, who descended largely from original English colonists. But the Ohio and Erie Canal, which opened in the early 1830s, made Cleveland the important terminus of an economic lifeline extending deep into the country’s heartland and linking the city into a nationwide water transport network. Helped by industrial innovations from steel barons who pioneered what could be called the Cleveland system of manufacturing, in which factories no longer had to be located right next to mines or other sources of raw materials, but could take advantage of water transport to move heavy cargo and finished goods long distances, Cleveland boomed. The expansion of the railroads reinforced the city’s manufacturing might, including in chemicals and oil refining—as did the Civil War, with its demands for iron and steel. Cleveland’s population exploded, growing almost 90-fold from 1830 to 1870, the year John D. Rockefeller incorporated his Standard Oil company in Cleveland. From a tiny hamlet modeled on small New England villages with their central squares, Cleveland had transformed into the nation’s 15th largest metropolis by 1870, with nearly 93,000 residents. And it was still growing. In 1920, with a population that had ballooned to nearly 800,000, Cleveland was the nation’s 5th largest city. The early decades of the 20th century were the halcyon days of the city’s economic power, nationally and internationally, a time during which immigration success paralleled economic success. Immigrants were attracted not just by jobs, but by earlier waves of immigrants who brought familiar foods and other cultural attributes with them. Yet immigration was not just a mirror for Cleveland’s power. Immigrants themselves also enhanced the city’s economic prospects through their work ethics, craftsmanship, deep sense of social and religious structure, and other skills. Many of Cleveland’s earliest hospitals were started by German church groups, including the former German hospital in Fairview Park, now Fairview Park Hospital, and Lutheran Hospital on the near West side. So were its breweries. Well-educated dissidents from the unsuccessful 1848 revolutions in Europe and their descendants put their distinctive mark on the intellectual life of Cleveland. One such was physicist Albert Abraham Michelson, whose Jewish family emigrated in 1855 from Strelno, Prussia (later Strzelno, Poland), when he was a toddler, settling first in Western mining camps. In 1907, Michelson became the first American to win a Nobel Prize in the sciences, for his physics experiments at Cleveland’s Case School of Applied Science, measuring the speed of light. The skills of old-world craftsmen can still be seen in the stonemasonry of Lakeview Cemetery monuments, many carved by Italian masters who settled in nearby Murray Hill, and the incredible carved wood, iron, and stone work and murals of the city’s ethnic houses of worship, from the intricately carved imported German white oak installed in the 1890s that decorates the interior of the old St. Stephen’s Church on West 54th street—a church for which German craftsmen used locally available wood and iron in place of traditional stone interiors, according to Cleveland Sacred Landmarks by Cleveland State University researchers—to the elaborate carvings and hand-hewn red oak pews lovingly created by Polish craftsmen for the shrine Church of St. Stanislaus in the little Warsaw section of Slavic Village. Not to mention the massive stone blocks hoisted by Italian immigrant brawn that in the 1950s became St. Rocco’s Church on the West side. Sadly, some ethnic churches with their hand-carved woodwork, marbles, and distinctive stained glass and murals were closed as part of the 2009–2010 retrenchment by the Cleveland Catholic Diocese, in which 50 Roman Catholic parishes in the diocese were closed or merged because of declining numbers of worshippers. The closures were an especially poignant commentary on the relative loss of population in neighborhoods of Cleveland originally settled by immigrants; affected parishes were home to some of the city’s oldest Catholic churches built by Eastern European immigrants between 1880 and 1930—a period when the owners of Cleveland’s mills actively recruited Czech, Polish, Croatian, and other migrants. Yet the city’s diverse artistic heritage finds ongoing expression in a variety of ethnic arts displays—from the folk-art, costumery, and ceramics of the Romanian Ethnic Art Museum on the West side, the Hungarian Museum in Tremont, and the Czech and Slovak Bohemian Hall on Broadway to the annual Cleveland Fine Art Expo of African-American and ethnic art. A thousand years of Jewish culture in Europe, largely eradicated by the holocaust, is celebrated not just in the city’s temples, but also in the Maltz Museum of Jewish Heritage in Beachwood. The city’s revitalized cultural gardens along Martin Luther King Jr. Drive from Lake Erie to University Circle now include a restored statue of Marie Curie by Polish sculptor Frank l. Jirouche, an arresting stainless steel bowl-like sculpture entitled “Hearth” that was unveiled in 2008 by Azerbaijani artist Khanlar Gasimov, and, next to it, the local Armenian-American contribution, the 2009 geometric “Alphabet” sculpture by architect Berj Shakarian. But immigrants to Cleveland didn’t just impact the city’s religious life and its arts and intellectual culture. The tight-knit nature of some immigrant groups also translated into influence on city politics, with the Irish in particular adept at turning numbers into political clout. Robert E. McKisson, Cleveland mayor from 1895 to 1898, although himself descended from settlers of probable Scots-Irish derivation who’d arrived in northern Summit County early in the 19th century, ran one of the country’s earliest—albeit, shortest-lived—political machines based upon the tight-knit Irish immigrant community. Even after that machine unwound at the end of the 19th century, ethnic political power persisted through ward heelers from neighborhoods of immigrants, whether Polish, Italian, Irish, or Hungarian. The ethnic loyalties were reinforced by the tendency of many immigrants to follow in the wake of friends, neighbors, or family, effectively transporting village and kinship loyalties to Northeast Ohio. The tiny hamlet of Aitaneet in the Bekaa Valley of present-day Lebanon exported most of its sons and daughters to just a handful of destinations—Cleveland, Montreal, or Detroit. Likewise, many of Cleveland’s Italian immigrants traced from a small number of towns in Sicily and the Campania and Abruzzi regions. Gene P. Veronesi in his 1977 book, Italian-Americans and their Communities of Cleveland, cites Josef Barton’s seminal 1975 study of differing patterns of immigration to Cleveland as indicating that half of all Italian immigrants to the city arrived from just 10 villages in Southern Italy. That was in contrast to Romanian and Slovak migration patterns to Cleveland, in which such relationship chains were relatively rare. John J. Grabowski of Case Western Reserve University and the Western Reserve Historical Society, the area’s leading expert on immigration and settlement patterns in Cleveland, has charted how these migration chains impacted Cleveland area neighborhoods, for decades drawing waves of related immigrants to certain addresses, intersections, and city areas. These ranged from “Dutch Hill” and “The Angle”—the city’s oldest Irish neighborhood—both on the west side, to the St. Clair (Croatian, Slovenian, and Serbian), Kinsman (Jewish), Cedar Central (African-American), and Buckeye (Hungarian) neighborhoods on the east side. In Lakewood, the “Bird’s Nest” neighborhood was created more or less as a company neighborhood by the old National Carbon Company (later Union Carbide), which in the 1890s laid out the streets named for birds, as part of a recruitment drive of Slovak factory workers. Some of these settlement patterns persist to this day. The St. Clair neighborhood east of downtown continued to attract Balkan immigrants from Serbia, Albania, Bosnia, and Croatia throughout the Yugoslav wars of the 1990s. Although the Buckeye neighborhood near Shaker Square now is largely African-American—four of every five residents—2 percent still listed Hungarian ancestry in the 2000 census. Politicians with Eastern European roots continue to exercise influence: Joe Cimperman, first elected to Cleveland City Council in 1997, is a first-generation Slovenian, as was former Ohio Governor Frank Lausche decades before him. Lausche became the first Cleveland mayor of Eastern European descent, when he was elected in 1941. Former Cleveland mayor and seven-term (as of 2010) congressman Dennis Kucinich is a second-generation Croatian, while the politician who unseated Kucinich as Cleveland mayor, George Voinovich, who then became a two-term Ohio governor and two-term U.S. senator, is descended from Slovenes and Ethnic Serbs from Croatia. Immigration continues from Eastern Europe to this day, notably Germans, Romanians, Russians, Italians, and Poles following co-nationals to Cleveland. In the early 20th century, area steel mills also began recruiting in the Western Hemisphere, primarily in Mexico. Large-scale Puerto Rican migration to Cleveland and Lorain began after World War II, when area auto and steel plants such as National Tube Company, later part of U.S. Steel, recruited heavily in the Commonwealth, whose residents have been U.S. citizens since 1917 (many serving in the U.S. Armed Forces in both world wars and in every war since). As of 2008, the U.S. Census Bureau estimated that more than 34,000 people of Puerto Rican heritage or birth lived in Cuyahoga County, making it the 28th largest county for Puerto Rican residence in the United States—and the primary reason the U.S. Justice Department demanded in 2010 that Cuyahoga County begin printing all election ballots in both English and Spanish. But large blocs of immigrants also have come from the Palestinian territories, Jamaica, Vietnam, Ukraine, China, the Philippines, India, Guatemala, Somalia, West Africa, Bosnia, and Iraq—to mention only some. The Cuyahoga County Board of Elections began providing Russian and Chinese language speakers in some voting districts. And despite the U.S. Justice Department’s focus on the voting rights of Spanish-speaking voters of Puerto Rican descent, the Cleveland neighborhood with the highest percentage of residents with deficient English skills in the 2000 census was the Little Asia neighborhood of Goodrich/Kirtland Park on the near east side, where Chinese and other East Asian languages are the impediment. That neighborhood ranked first in Cleveland in 2000 both in number of foreign-born residents and in number of Asian immigrants, the bulk from mainland China. All has not been smooth sailing for new arrivals to Cleveland, even in the years when immigration boomed. Immigrants to Cleveland confronted discrimination in housing, employment, and education, and attempts by some white Protestant groups to acculturate other groups, both linguistically and religiously. Often, immigrants experienced infighting within their own immigrant communities over ideology and religion. The Cleveland Encyclopedia, prepared for the city’s bicentennial in 1996, says that bilingual education was offered in Cleveland public schools as early as 1870—not for altruistic reasons, but as an attempt to induce the city’s large Germanic population to abandon nationality schools taught only in German and to assimilate to English-language education instead. Protestants sent “missions” into ethnic neighborhoods while the city’s Catholic diocese, under its first bishop, French-born Louis Amadeus Rappe, resisted in the late 19th-century setting up ethnic parishes—until lobbying of Rome by the city’s Germans and Irish ended the prohibition. By 1908, The Cleveland Encyclopedia reports, more than half the city’s Roman Catholic parishes were “nationality” parishes, rather than neighborhood ones. Adding to the diversity were the early 20th-century migrations of African-Americans to Cleveland, seeking the opportunities denied them in a south constricted by Reconstruction and later Jim Crow. This wholesale migration, following the rail lines north, established in Cleveland what scholar Kimberly Phillips called “Alabama North,” in her award-winning 1999 book of that name, describing the impact of this migration chain. It indelibly affected neighborhoods from Central to Mount Pleasant. More than half of all southern blacks in the Great Migration northward in 1916–1918 came to just five cities, Phillips writes—Cleveland, Chicago, Detroit, New York, and Pittsburgh. African-Americans brought with them their southern customs, cooking, music, and values, including a focus on the church and family as the center of the community. they also made Cleveland a locus of black intellectual life, ranging from author Charles Chestnutt, born in Cleveland in 1858, to Langston Hughes, who in the early part of the 20th century boarded in a number of homes on the east side of Cleveland, as he worked for his education. But by 1915, reversing earlier, more liberal trends, black migrants to Cleveland faced a backlash of intense prejudice in finding homes, jobs, and cultural and educational acceptance. unlike the assimilation efforts aimed at most immigrants, African-Americans faced closed doors and extreme segregation, from beaches to neighborhoods, schools, and educational avenues of mobility. The effects of this segregation remain painfully apparent to this day in the many Cleveland neighborhoods that are more than 95 percent African-American. Cleveland’s ethnic enclaves also boiled with rivalries that reflected conflicts in home countries. These were seen in Cleveland Slovaks’ successful 1902 veto of the Hungarian community’s attempt to build a statue on Public Square honoring Hungarian nationalist Lajos Kossuth—the statue was built at University Circle instead. Slovaks had successfully mobilized against the monument by lobbying many of the Cleveland region’s Slavs, whose countrymen had been absorbed into the Austro-Hungarian Empire. Immigrant Jews of German origin who favored more liberal tenets and assimilation confronted, sometimes uncomfortably, newer arrivals from Eastern Europe with more conservative religious notions, and deeper social needs. Serbian Orthodox Christians split down the middle into an anti-Communist church that opposed anything emanating from then-Communist Yugoslavia and those who still looked to the home-country church for guidance. This split was resolved only by the wave of Serbian Nationalism that arose during the 1990s Yugoslav wars. Yet this attitude obscures the real trends in U.S. immigration, ignores the stabilizing, family-friendly, and entrepreneurial nature of most immigrants, and diminishes the positive impact that immigrants can make, especially in communities such as Philadelphia that have worked hard to attract well-educated, well-heeled immigrants, who can make an immediate economic difference. Recent studies of immigration trends by think tanks as diverse as the conservative Hoover Institution and Rand Corporation and the liberal Brookings Institution suggest that only in states such as California that are overwhelmed by very poor immigrants with low educational attainment has immigration become a net drain on the economy. One inference from these findings is that a smarter economic strategy would be to do more to erase discrimination and to lift other barriers to productive employment for these poorer immigrants, including a greater investment in education, thereby making them net contributors. Yet immigration is changing. In many if not most U.S. cities, the studies suggest, a new generation of what might be called new-economy immigrants is expanding economic opportunities for all residents by creating new companies, revitalizing neighborhoods, driving the new innovation economy, and attracting investments from overseas. So even as the stereotypical view persists that immigrants take jobs from native citizens, immigration is changing fundamentally into a value-added proposition. The Brookings studies in particular suggest that post-1990 immigration has drawn educated immigrant groups not just to cities such as Philadelphia, Boston, and Indianapolis, which have specific programs to lure them, but also to Cleveland, where the city’s emerging power in biotech and affordable neighborhoods close to Cleveland State University and Case Western Reserve University have attracted clusters of highly-educated immigrant Indians, Chinese, and others. Immigrants within these clusters then lure other immigrants to provide the food and services they crave. And these new-economy immigrants, initially drawn by educational opportunities, later team to start their own firms, including the next generation of high-tech startups. In the 2000 census, the Cleveland neighborhood with the highest percentage of foreign-born residents—14.5 percent—was the University Circle area around CWRU, the Cleveland Clinic, and University Hospitals. (the top five non-native nationalities living there were Chinese, Indian, Russian, Japanese, and Thai, in that order.) More than three-quarters of this population had immigrated since 1990, in contrast with the city’s older immigrant neighborhoods, such as south Collinwood, where 41 percent of the foreign-born arrived before 1965. In marked contrast with their 19th-century counterparts, these new-economy immigrants tend to think globally in how they see their roles, their firms, and their personal opportunities. that’s certainly true of Japan-born, CWRU-educated physicist Hiroyuki Fujita, who in 2006 started Quality Electrodynamics LLC in his CWRU lab, making parts for Magnetic Resonance Imaging machines. Now headquartered in Mayfield Village, QED is one of the Cleveland region’s biotech success stories. Yet Fujita didn’t draw inspiration from the old Cleveland manufacturing system. Instead, as he told Mary Vanac of Cleveland’s Medcity News in a 2010 interview, he drew the model for his firm from one of Japan’s early globalists, the entrepreneur-philanthropist Kazuo Inamori, who in 1959 founded a Kyoto ceramics company that was to become the electronics giant Kyocera. Brookings studies of the impact of such immigrants suggest that the communities that are best able to attract and retain new-economy migrants will see a huge economic spinoff in job creation and innovation. These impacts can happen organically, but Brookings notes that Philadelphia has greatly accelerated them, using a welcome center to recruit and retain immigrants. Yet even as Philadelphia and other cities worked hard in recent years to attract immigrants, Cleveland lagged, without the political will and vision to make similar moves, and with Cleveland Mayor Frank Jackson late to the table on the immigration issue. Fortunately the Cleveland area’s Jewish community—which helped assimilate tens of thousands of Russian Jews and has successfully used immigrant ties to israel to attract Israeli medical businesses to locate in Cleveland—in mid-2010 stepped forward with a strategic study and plan to establish an International Welcome Center in Cleveland. At the same time, immigrant Eddy Zai of Pepper Pike was setting up the Cleveland International Fund to take advantage of a U.S. program that offers green cards, a step toward citizenship, to foreign investors who sink substantial sums in depressed parts of the United States. Zai recruited potential Cleveland investors in countries as diverse as England, India, and China. The result: a $20 million initial investment in 2010 in the Flats East Bank project, a critical component of that project’s financing. Zai expected to pull together millions more in immigrant investments for that East Bank redevelopment as well as for health-care opportunities, real estate, and movie-making efforts in Cleveland. Zai’s personal story of immigrant success may, unfortunately, have been necessary to counteract perceptions overseas that Cleveland is not welcoming to immigrants. That view has gained currency in China, in particular, because of the prominent opposition of Cleveland-area politicians such as Senator Sherrod Brown to recent free-trade deals and aspects of U.S. trade relations with China. These perceptions may be inaccurate—the Cleveland region relies heavily on exports to support tens of thousands of jobs in steel, metalworking, chemical, appliances, large machinery, and other industries, and Brown says he supports free but fair trade. The city continues to welcome immigrants, with the help of the networks of prior immigrants, who tend to form entrepreneurial as well as political and cultural bonds. However, such perceptions underscore how critical it is for a metropolis to be seen as a player on the international stage—not simply as a place where the barricades are up. The truth is that Cleveland is competing successfully in the tech-oriented immigrant bazaar, thanks to its biomed and university anchors and the entrepreneurial dollars that have been attracted by state-supported Third Frontier seed money. But how far it has to go was made clear by a recent book, Immigrant, Inc., by Cleveland authors Richard T. Herman, an immigration lawyer, and Robert L. Smith, a Plain Dealer reporter. • Nearly one-fourth of Silicon Valley startups during the computer boom of 1980–1998 were started by immigrants from India and China. • Immigrants helped launch an astounding 25 percent of all new technology and engineering firms nationwide from 1995 to 2005. That figure was higher in California (39 percent), new Jersey (38 percent), and Massachusetts (29 percent). In Ohio, it was 14 percent. • In 2006, noncitizen immigrants were listed as inventors or co-inventors of 24 percent of U.S.-filed international patent applications. That compared with 7 percent in 1998. Fortunately, the Brookings studies suggest that cities can quickly alter their immigration profile through astute policies. In this regard, Cleveland, where many pre-1965 immigrants retain ties to the “old country,” has assets that other cities do not. In its most vibrant neighborhoods, the city retains the character of an ethnic mixing pot. And diversity can mean a big payoff in neighborhood revitalization. Cleveland Council Member Matt Zone, for instance, attributes the recent development successes in the Detroit-Shoreway neighborhood that he represents on the West side—the neighborhood that has seen construction of one of the biggest concentrations of new housing in Cleveland, and the advent of trendy eateries and restored theaters as part of the Gordon Square Arts District—to planners’ efforts to retain economic, racial, and ethnic diversity. A small Italian neighborhood complete with backyard bocce courts exists side-by-side with upscale homes for young professionals. Subsidized housing was included in the planning, and the neighborhood should get a further boost by plans to turn the West Shoreway into a more pedestrian and bike-friendly mall, with easier access to the Lake Erie shorefront. No major ethnic or racial group dominates in Detroit-Shoreway, with 23 percent of residents listing Hispanic heritage, 18 percent African-American, 13 percent Irish, 12 percent German, and 7 percent Italian in the 2000 census. And the neighborhood continues to attract immigrants—with more than 1,000 foreign-born residents as of 2000, the largest numbers from Romania, Mexico, Italy, Guatemala, and Nicaragua. Immigrants don’t just seed new businesses. They’re also are a key driver of population growth—highly desirable in an advanced industrial nation such as the United States that has a low birth rate, since it helps assure that jobs will be filled by working-age people supporting social programs, even as the native-born population ages. The importance of immigration as a population driver was underscored in 2009 when, in part because of declining immigration tied to the Great Recession, the U.S. birthrate dipped to its lowest level in at least a century, 13.5 births for every 1,000 people. In 1900, according to the Brookings Institution, Cleveland was the nation’s fifth most important immigrant gateway city, with nearly 33 percent of its population foreign-born. In 2006, it wasn’t even in the top 10. But that can change. Philadelphia—the country’s third largest immigrant gateway in 1900—initially fell as fast and as hard as Cleveland, to become another rusty former gateway and aging industrial city fallen on tough times. Yet Philadelphia changed that trajectory through policies focused on attracting immigrants to revitalize neighborhoods and seed jobs, doubling its foreign-born population after 1970, with 45 percent growth in the 1990s alone. Cleveland can do the same—or better, building on assets it already has. It not only can, it must. Immigration isn’t a negative word. It’s a word that spells opportunity, growth, jobs, and the future. It has done that for Cleveland before. It can do so again. AMERICANIZATION. The heavy influx of immigrants into cities such as Cleveland before and after the Civil War tested the belief that America could easily assimilate foreign newcomers. Hector Crevecoeur, an 18th-century French writer, had popularized the image of America as a mix of races and nationalities blending into and forming a new culture. On the other hand, nativists who had organized the Know-Nothing Party before the Civil War feared that the foreign customs and “vices” of non-Anglo-Saxon people would destroy America. Anglo-conformists with a similar concern believed in less drastic solutions to make immigrants shed their foreign customs and assimilate into the Protestant, middle-class American mainstream. The public schools were especially burdened with this task. One of the primary objectives of the CLEVELAND PUBLIC SCHOOLS since their beginning in 1836 has been the assimilation of foreign-born immigrants into American society. The leaders of the city’s schools before the Civil War were transplanted New Englanders who believed that the public or common school was a panacea for the social and economic ills of American society. They claimed, like educator Horace Mann of Massachusetts, that the compulsory attendance of all children in the public schools would educate children not only in the “three Rs,” but also in the cultural values of Anglo-Saxon America. In 1835 Calvin Stowe, one of the most influential leaders of Ohio’s public-school movement, told teachers that it was essential for America’s national strength that the foreigners who settled on our soil should cease to be Europeans and become Americans. But the public school found that immigrant children needed specialized programs to succeed in the classroom. In Mayflower School, built at the corner of Mayflower (31st St.) and Orange in 1851, the majority of students came from Czech families (see CZECHS), and only 25% of the pupils could speak English by the 1870s. Teachers spent a portion of each day providing special lessons in the English language. In 1870 superintendent ANDREW RICKOFF† and the school board instituted the teaching of German, to successfully enroll the majority of the more than 2,000 children of German parentage (see GERMANS) who had previously attended PRIVATE SCHOOLS that taught subjects in German. Educational leaders in Cleveland before the turn of the century believed that the addition of different nationalities would strengthen Anglo-Saxon America, as long as the newcomers conformed to the dominant culture. The goal of mixing nationalities in the common schools was not endorsed by all immigrant groups in the 19th century. Cleveland’s Irish Catholics followed the advice of Bp. RICHARD GILMOUR†, who condemned the public schools as irreligious and told his congregants that they were Catholics first and citizens second (see CATHOLICS, ROMAN). By 1884 123 parochial schools had enrolled 26,000 pupils (see PAROCHIAL EDUCATION (CATHOLIC)). Nationality churches served over 200,000 people by the turn of the century. Parochial schools of the Catholic diocese that taught foreign languages and customs flourished as Cleveland became the home of newcomers from Southern and Eastern Europe. Described as “the new immigrants,” they increased from 43,281 to 115,870 people between 1900-10. School reformers questioned the effectiveness of the policy of Anglo-conformity in the face of the growing cultural diversity of the student population. Some celebrated the philosophy of the “melting pot,” or the mixing of nationalities together. Brownell School on Prospect Ave. had enrolled, for example, over 30 different nationalities by the turn of the century. SETTLEMENT HOUSES, such as HIRAM HOUSE in the Central-Woodland neighborhood of Eastern European Jews and ITALIANS, provided the city’s first citizenship and vocational-education programs, and became the social-service model for Cleveland’s immigrants. In doing so, the settlements carried forward citizenship programs that had been instituted early in the century by patriotic societies such as the Daughters of the American Revolution. In 1901 Harmon School provided “steamer classes,” language instruction for foreign-born children. Evening schools taught adult immigrants civics and English, to help them pass naturalization exams. Schools also expanded social-welfare programs to meet the needs of immigrant, working-class children and youth. In 1907 a medical dispensary, the first of its kind, opened in LITTLE ITALY. Despite these efforts to reach immigrants, the CLEVELAND FOUNDATION‘s school survey of 1915 criticized the school system for not providing enough steamer classes and other specialized programs: among public school students, over 50% came from homes in which a foreign language was spoken. It was estimated that over 60,000 unnaturalized immigrants lived in Cleveland and that two-thirds of the student population left school before the legally required age of 16 for girls and 15 for boys. The entrance of America into World War I increased anxiety over the effectiveness of the public schools’ Americanization program in securing the loyalty of foreign-born immigrants and their children. RAYMOND MOLEY†, a political science professor from Western Reserve Univ. (see CASE WESTERN RESERVE UNIVERSITY. ), was hired to direct its activities. On 6 April 1917, Mayor HARRY L. DAVIS† appointed the MAYOR’S ADVISORY WAR COMMITTEE, which created a “Committee of the Teaching of English to Foreigners,” with business leader HAROLD T. CLARK† as chair. Renamed the Cleveland Americanization Council, the organization coordinated 68 local groups and worked with state and federal programs. The Board of Education trained language teachers, and the Citizens Bureau at city hall supplied instructors of naturalization. Both programs were offered at schools, factories, libraries, social settlements, churches, and community centers. Naturalization classes enrolled 2,067 students during the fall of 1919. The council launched a citywide publicity campaign, which included posters in different languages and advertisements in 22 nationality newspapers. The ideology of social efficiency, often used with employers, stressed that the Americanization of foreign workers would increase their punctuality, orderliness, and productivity. Moley wrote Lessons in Citizenship, a civics handbook, to help immigrants pass naturalization exams. The War Advisory Committee asked ELEANOR LEDBETTER†, a foreign-language librarian for the CLEVELAND PUBLIC LIBRARY (CPL), and other researchers to write a series of sympathetic studies of the city’s nationality cultures and neighborhoods. The library also provided newspapers and books in over 20 different languages to reach the foreign-born. Despite this advocacy of cultural pluralism as the basis for mutual exchange and respect, the bitter controversies and feelings aroused during wartime America caused many Americans to lose faith in public school assimilation. Superintendent FRANK SPAULDING† and the majority of the school board supported the removal and prosecution of a socialist board member who publicly opposed America’s participation in World War I, under the Espionage Act of 1917. The board also terminated the teaching of German and required a loyalty oath from teachers as part of the wartime campaign for “100% Americanism.” Events surrounding the MAY DAY RIOTS and Red Scare of 1919-20 aroused public anger against foreign immigrants who supported radical or progressive causes. On 1 May 1919, the Socialist party’s march in support of the Russian Revolution on Cleveland’s PUBLIC SQUARE incited a riot and the arrest of 116 demonstrators. Local newspapers quickly pointed out that only 8 of those arrested had been born in the U.S. The city government immediately passed laws to restrict parades and the display of red flags. Newspapers and business, labor, and civic organizations called for the deportation of foreigners not wanting to become Americans. Others called for stronger Americanization programs. Harold T. Clark asked for the passage of a law to compel young people to attend school until the age of 21, and for the adoption of methods used by the army to teach soldiers English. Allen Burns, former director of the CLEVELAND FOUNDATION‘s survey program, conducted a series of studies to improve Americanization programs for the Carnegie Foundation. Cleveland educators and social workers complained about the postwar financial cuts in citizenship training. The PLAIN DEALER alarmingly reported that the city’s immigrant population contained over 85,000 unnaturalized men, and if their families were counted, the number of unnaturalized foreigners rose to approx. 212,000 out of a total residential population of 796,841. The postwar arrival of millions of Southern and Eastern Europeans created a sense of panic throughout America. Schools were judged incapable of assimilating what were seen as biologically inferior groups of immigrants. In 1924 Congress passed a quota law that drastically reduced the number of immigrants from Southern and Eastern Europe to 3% of their prewar level, and in effect banned Asians from coming to America. Throughout the 1920s and 1930s, immigrant neighborhoods and organizations responded to the needs of the second generation. Often the American-born and -educated children clashed with the values and customs of their parents and moved from their ethnic neighborhoods. Intermarriage between individuals of the same religious faith but different ethnic background created the triple melting pot among Catholics, Jews, and Protestants (see RELIGION). Ethnic parishes and newspapers began to communicate in English as the second and third generations lost the urgency to speak their mother tongue. LA VOCE DEL POPOLO ITALIANO, an Italian nationality newspaper, advertised in English and urged its readers to naturalize. Some ethnic groups controlled assimilation by modifying and adapting their organizations. The Polish immigrant parish gradually changed, for example, to the hyphenated parish of the Polish-American community, and finally to the American parish of Polish ancestry (see POLES). The nationality parish declined in membership in the central city and became a rarity in the SUBURBS because of restrictive immigration laws and demographic changes. Between 1930-40, Cleveland’s foreign-born population decreased by 51,763, or 22.2%, and dropped to a total of 179,183. The proportion of foreign-born in the city’s total population declined from 30.1% in 1920 to 14.5% in 1950. As the second and third generations became more successful economically and more Americanized, or less dependent on nationality organizations, they moved into what were once Protestant-dominated suburbs after World War II. Different generations of immigrants continued to search for an identity that balanced both their ethnic heritage and the American environment. A conscious celebration of nationality cultures counteracted American ethnocentrism. Folk festivals, sponsored by the CLEVELAND FOLK ARTS ASSN., nationality holidays, fraternal organizations, the All Nations Festival, and the CLEVELAND CULTURAL GARDEN FEDERATION all celebrated immigrant contributions to the city. In 1948 the Mayfield Merchants’ Assn. in LITTLE ITALY sponsored a banquet to honor Miss Florence Graham. Of Irish descent, she had faithfully served and fought discrimination against the city’s Italian-American community since 1908, during her tenure as teacher and principal in the neighborhood’s Murray Hill School. The Intl. Institute of the YOUNG WOMEN’S CHRISTIAN ASSN. (YWCA), organized in 1916, trained older immigrants to work with recent arrivals. The Citizens Bureau, with the support of the Welfare Federation, supplied aid, advice, and naturalization classes. The bureau also cooperated with the citizenship and English classes for foreign-born pupils in the public schools, classes which 130,000 foreign-speaking students had attended by 1929. Eleanor Ledbetter, in addition to building a foreign-language collection at CPL, compiled a volume of Czech fairytales and a bibliography of Polish literature. HELEN HORVATH†, who had immigrated from Hungary in 1897, began mothers’ clubs and educational programs for foreign newcomers. The public schools asked to incorporate her efforts, and she spoke about immigrant education at many universities. John Dewey, the leading philosopher and proponent of progressive education, praised the work of Verdine Peck Hull, who had pioneered a course in interracial tolerance in the public schools in 1924. He declared that the program’s emphasis on mutual understanding represented true Americanism. In 1973 the city created Senior Ethnic Find, a program to help elderly immigrants use available social services. The Nationalities Services Center (see INTERNATIONAL SERVICES CENTER), created by a merger of the Intl. Institute and the Citizens Bureau in 1954, and the LEAGUE FOR HUMAN RIGHTS (est. 1934) helped immigrants displaced by totalitarian regimes and World War II. The Cleveland Immigration & Naturalization Service has helped residents sponsor the immigration of relatives, friends, and refugees from other countries and assisted newcomers in becoming citizens. With the decline in European immigration after World War I, Cleveland employers looked to the American South as a source of cheap labor. Over 100,000 Appalachians and 200,000 blacks migrated to the Greater Cleveland area in the ensuing years (see AFRICAN AMERICANS). The URBAN LEAGUE OF GREATER CLEVELAND helped blacks find jobs and housing and, assisted by the NATIONAL ASSOCIATION FOR THE ADVANCEMENT OF COLORED PEOPLE (NAACP), to fight discrimination. A plethora of black churches, KARAMU HOUSE, and fraternal organizations helped rural black newcomers adjust to the urban environment. In the 1960s, public schools began remedial and special education programs for minorities or others described as culturally disadvantaged. Cleveland’s post-World War II population became even more diverse with the addition of Asians, Russian Jewish refugees (seeJEWS & JUDAISM), and Spanish-speaking people from Puerto Rico and Central or South America, Cuba, and Mexico (see HISPANIC COMMUNITY). Displaced persons from Eastern Europe were the major foreign group in English classes, which enrolled over 2,000 students in the public schools in 1949. The Nationalities Service Center flew 270 Cuban refugees into the city as thousands fled Fidel Castro’s victory in 1959. In 1965 Congress changed the immigration law. With ethnic origin no longer a factor in admittance to the U.S., preferential treatment was given to people with relatives living in America or occupational skills that America needed and refugees from Communism. People from the Far East and India were allowed to enter in large numbers. By the mid-1970s, almost one-third of America’s immigrants came from Asia. Filipinos (see ), Chinese, KOREANS,VIETNAMESE., and Cambodians swelled the population of cities. In 1975 the greatest proportion of the 400,000 immigrants came from the West Indies and Mexico. New and old organizations developed programs to meet the needs of Cleveland’s changing immigrant population. Cleveland’s Islamic Center (see ISLAMIC CENTER OF CLEVELAND) built a mosque in PARMA to serve the needs of the Arab community. The city’s Vietnamese people opened a Buddhist Temple in Cleveland’s near west side. A refugee resettlement office was started to serve approx. 1,500 Vietnamese as well as Laotian and Cambodian immigrants by providing social, employment, and translating services. Approximately 10,000 Asian Indians, of whom the majority were educated professionals, were dispersed throughout the metropolitan region. Cleveland’s Asian community constructed a new addition to the city’s Nationality Gardens in Rockefeller Park near UNIVERSITY CIRCLE and held an annual festival celebrating the diversity of their cultures. The U.S. State Dept. asked the JEWISH FAMILY SERVICE ASSN. to adapt its methods of resettlement to other groups. JFS helped more than 600 Indo-Chinese as well as 1,500 Russian refugees to resettle locally. By the 1980s, Cleveland’s Spanish-speaking groups had more than 30,000 members in Cleveland. Already citizens of the U.S., Puerto Rican migrants were the largest group. They were assisted by a variety of civic and fraternal organizations, the Spanish American Committee (see SPANISH AMERICAN COMMITTEE), an official liaison at city hall, and an employment-service bureau. Spanish Catholics established SAN JUAN BAUTISTA on the city’s near west side. The Hispanic community helped their young adults with scholarships and educational or cultural programs through the ESPERANZA, INC., Program and the Julia de Burgos Cultural Center. Fifteen hundred Spanish-speaking students constituted the major group in the “English as a Second Language” program in the Cleveland public schools. Over 100 Vietnamese children were also enrolled in the bilingual course. The PACE ASSN. (Program for Action by Citizens in Education), organized in 1963, developed a human-relations curriculum and trained teachers to increase multicultural understanding. The public schools also developed curriculum to promote an awareness of the history and contributions of minority groups. To combat prejudice against the city’s newest immigrant groups, the Bilingual and Multicultural Education Program of the Cleveland Public Schools helped foreign newcomers learn English and to celebrate their cultural backgrounds. In 1981 it started an annual conference to promote multicultural education as part of the curriculum of the public schools. The program helps students live in a pluralistic world by fostering an appreciation and respect for people of different backgrounds. Historically, the reaction of Clevelanders to immigrants and migrants has paralleled that of the country in general. Important differences between and among nationality groups have shaped their responses to the culture of the host country. “Birds of Passage,” immigrants who came to America to earn as much money as quickly as possible before returning home, had little interest in becoming citizens or in being Americanized. Programs to assimilate immigrants depended heavily on the immigrants’ reasons for coming to America, as well as the public’s attitudes toward newcomers. When the economy of the city was expanding and in need of cheap labor, immigrants were seen as a vital part of the labor force and capable of becoming American. When the economy slumped in the 1890s and 1930s, or when the public became inflamed over patriotic unity, as occurred in the post-World War I and VIETNAM WAR eras, immigrants were viewed as threats to social harmony and incapable of assimilating. Native-born fears about new immigrants revealed a deep insecurity about American social life and were connected directly to cycles of economic growth and decline. Resentment against the racial backgrounds and illegal entry of foreign newcomers, job losses, and the rising cost of social-welfare and educational services also increased in the 1980s, as approx. 9 million immigrants arrived in America. The total surpassed all previous decades in American history. Since the 1970s, the American public has seen the rise of a “new ethnic consciousness,” a movement celebrated in Michael Novak’s The Rise of the Unmeltable Ethnics. Novak believes that millions of ethnics who tried to become Americanized according to the norms of the dominant culture were delighted to find that they no longer had to pay that price. Ethnic pride in cultural differences provided not only a stronger sense of community for immigrant groups, but also an antidote to an age in which modern systems of communication and commerce emphasized the greatest common denominators for a mass audience of supposedly like-minded individuals. This new attitude of cultural pluralism was quickly manifested in cities such as Cleveland. During the 1970s and 1980s, a series of programs began, including the Greater Cleveland Ethnographic Museum, Peoples & Cultures, the WESTERN RESERVE HISTORICAL SOCIETY‘s Cleveland Regional Ethnic Archives Program, the Public Library’s Cleveland Heritage Program, and CUYAHOGA COMMUNITY COLLEGE‘s Community Studies Program and Oral History Center, that reflected this change in American attitudes. They continued the celebration of regional cultural vitality begun by people such as Eleanor Ledbetter and Helen Horvath, who created a sympathetic understanding of immigrants as the basis for the Americanization of Cleveland.